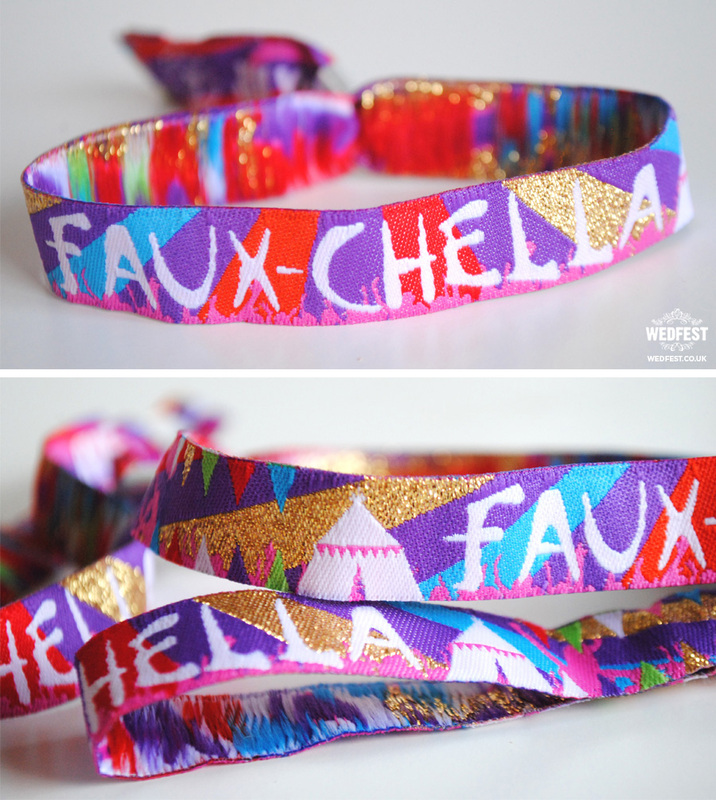 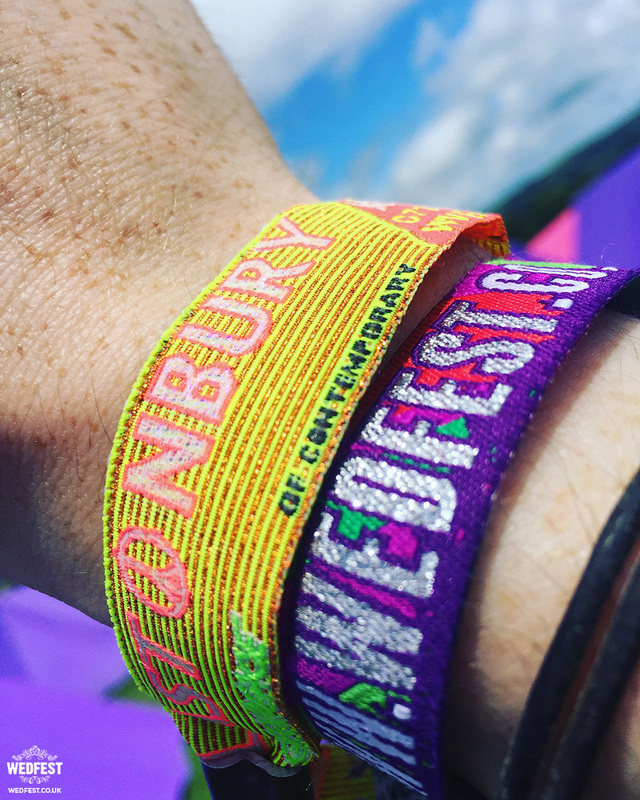 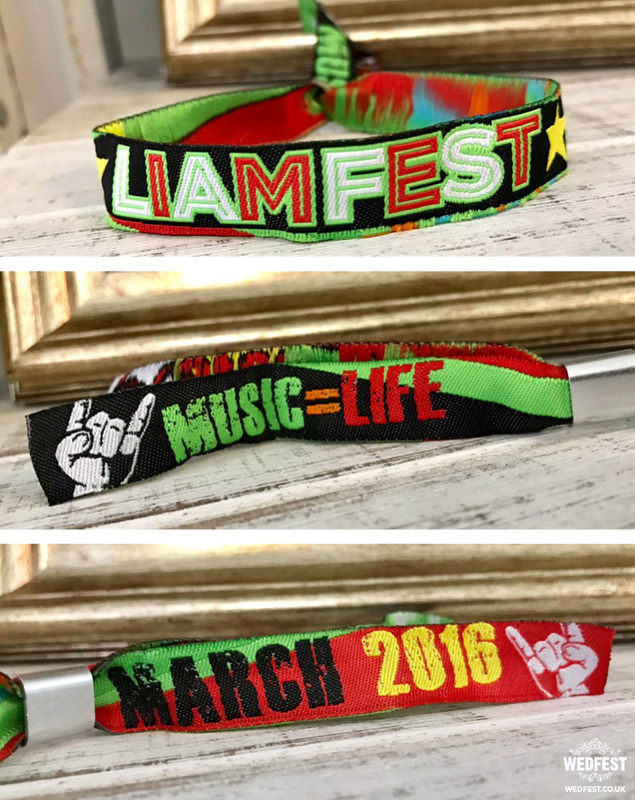 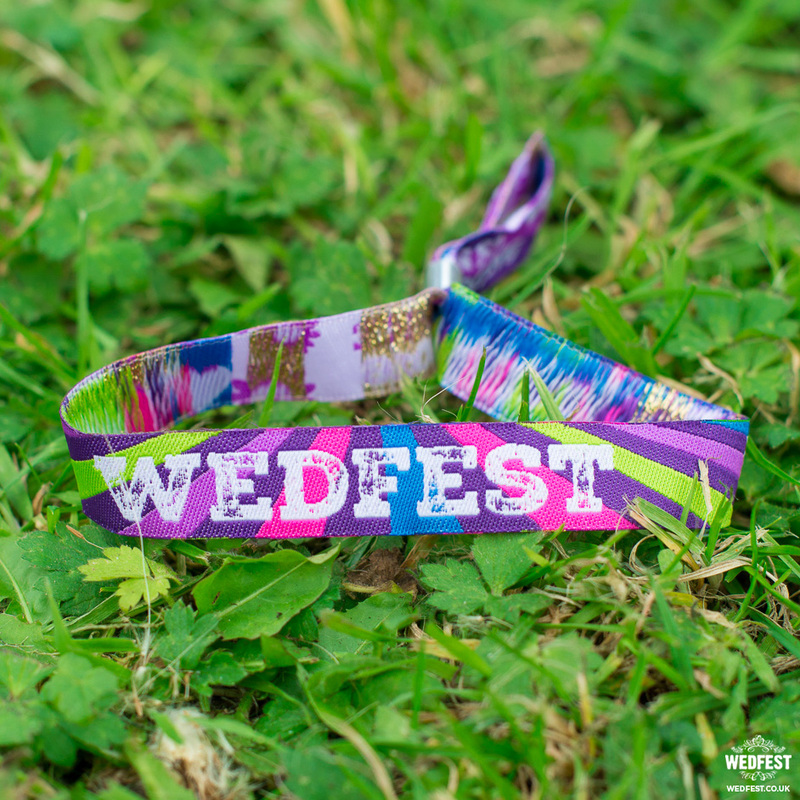 Festival style wristbands can be a unique addition to any wedding, or act as the perfect finishing touch to a festival themed wedding. 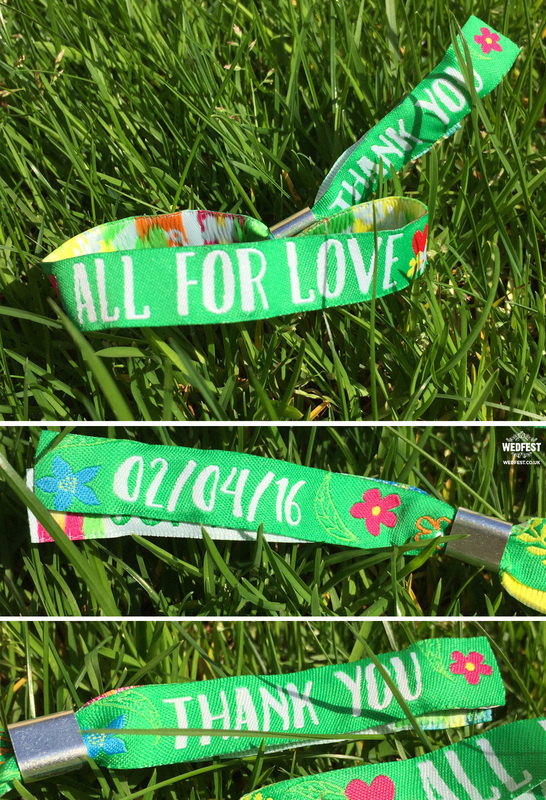 Bands can be customised to feature any message, with the date of the event, or the names of the happy couple – whatever takes your fancy. 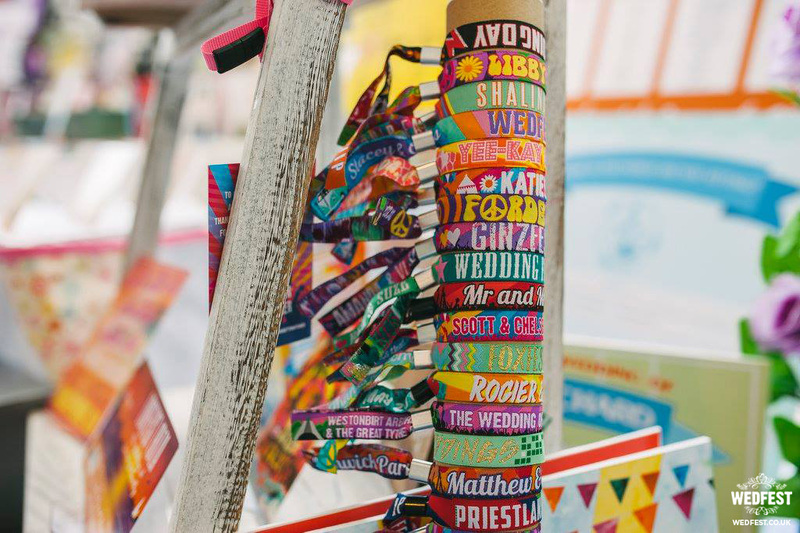 Such a fun way to bring something a little different to the table, they can be sent before the wedding alongside an invite, or given out to guests as they arrive. 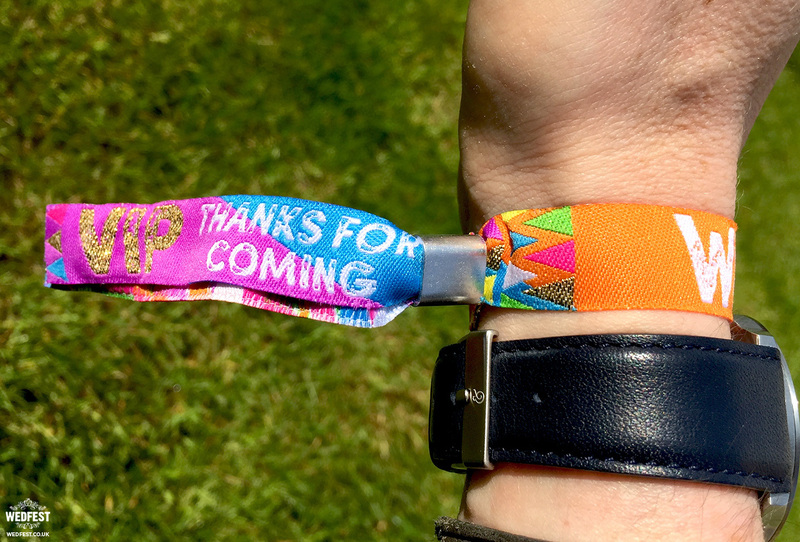 They are sure to be a talking point before, during and after the event, and are likely to be treasured as a great reminder of the day. 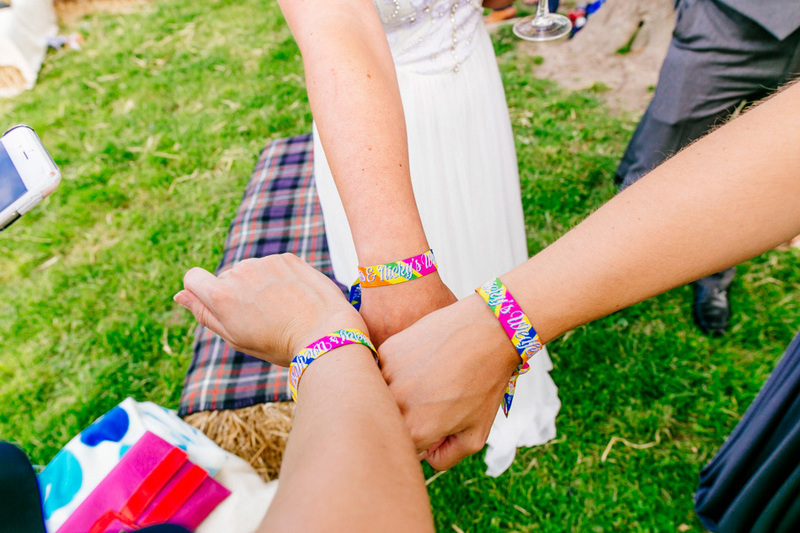 Guests are able to wear them during the wedding and into the party in the evening, or even onto the next morning. 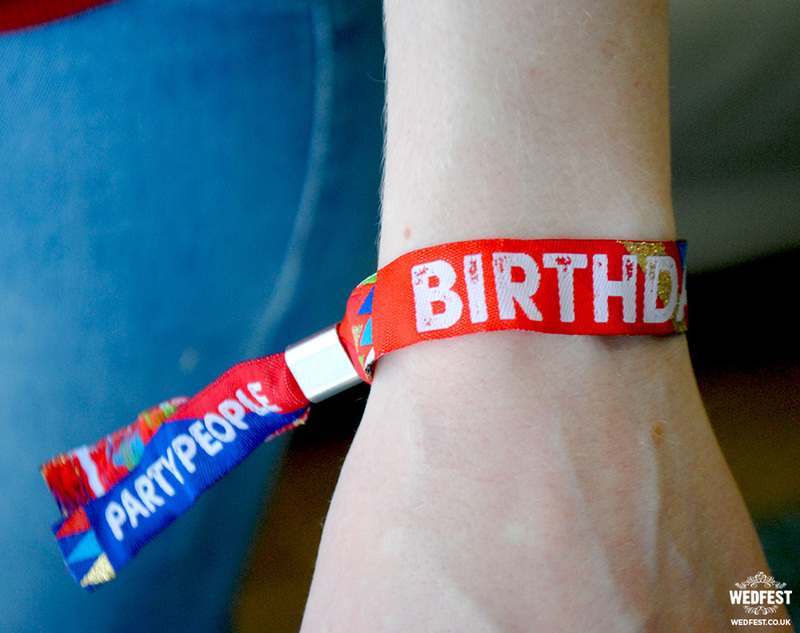 One things for sure though, they’ll definitely be remembered. 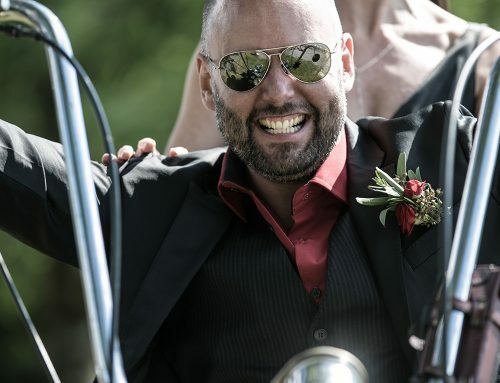 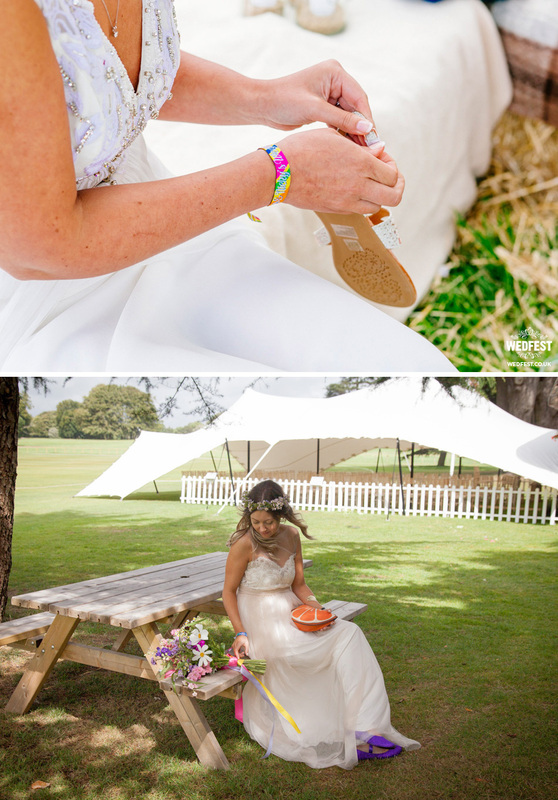 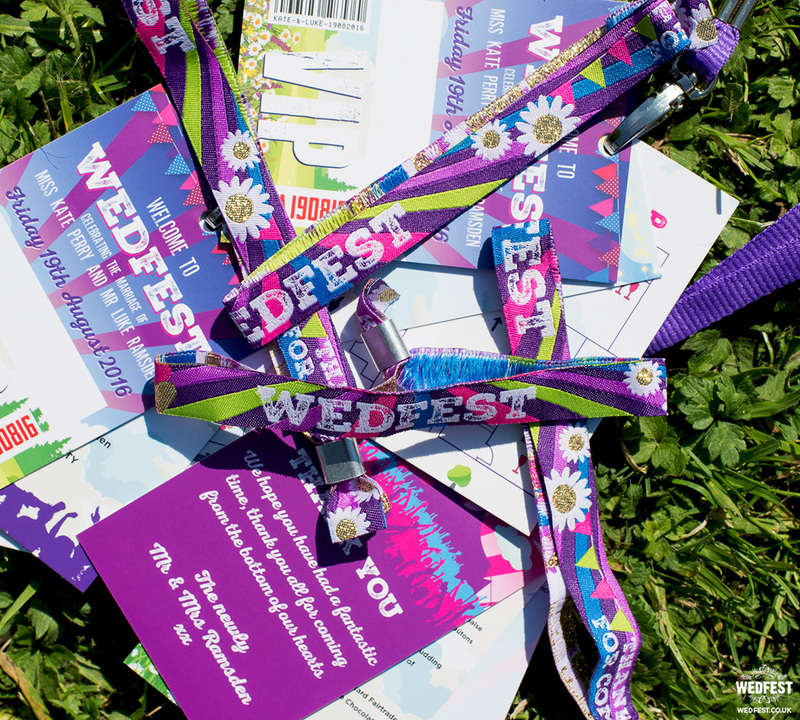 People are always looking for something a little different to add something special to their wedding day, and festival wedding wristbands are a really easy to way to achieve this. 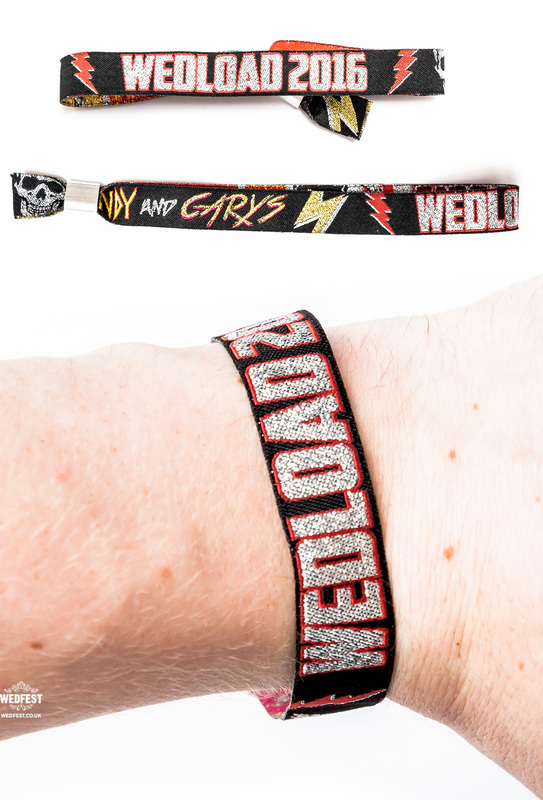 Already a very popular accessory on the party scene, the trend to use them for weddings has recently taken off. 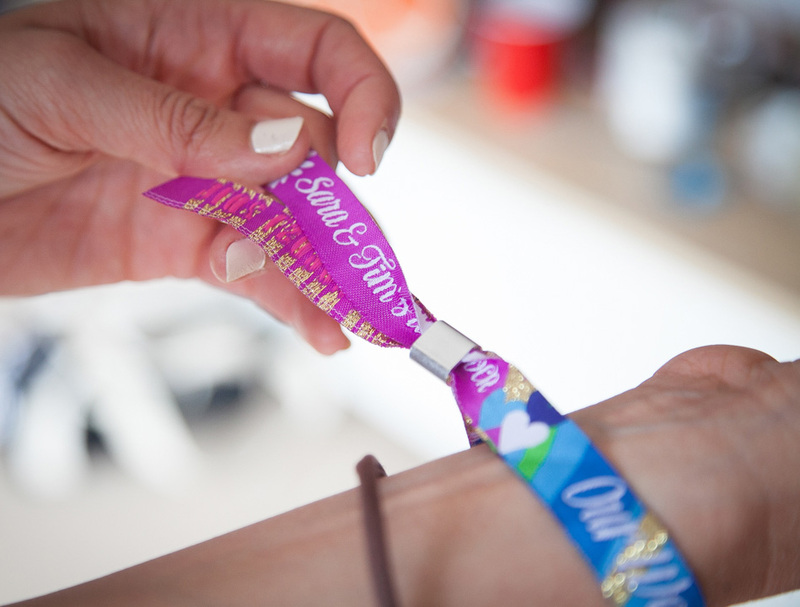 Wedding wristbands are sure to brighten up the event, and there are so many ways in which they can be used to complement a festival wedding. 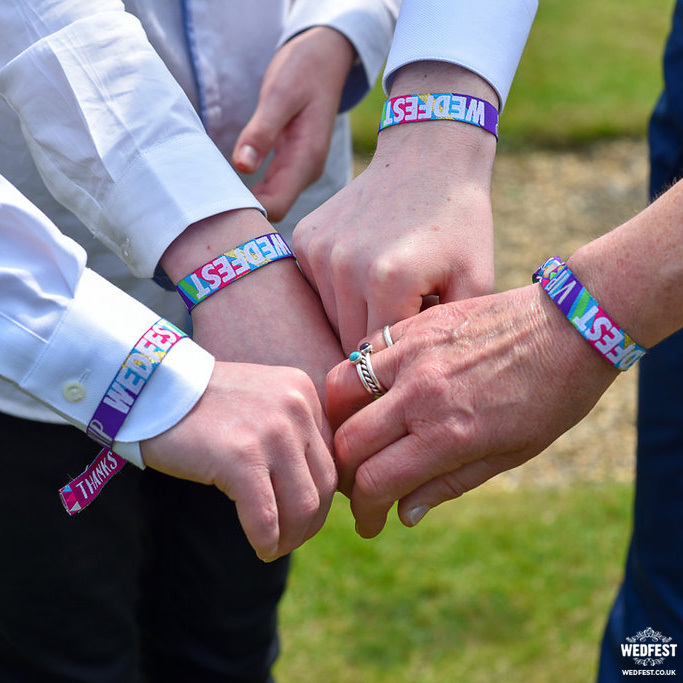 Personalised wristbands are ideal to give out to guests as a gesture of appreciation – wristband wedding favours are a delightful gift to receive, and something that people will cherish. 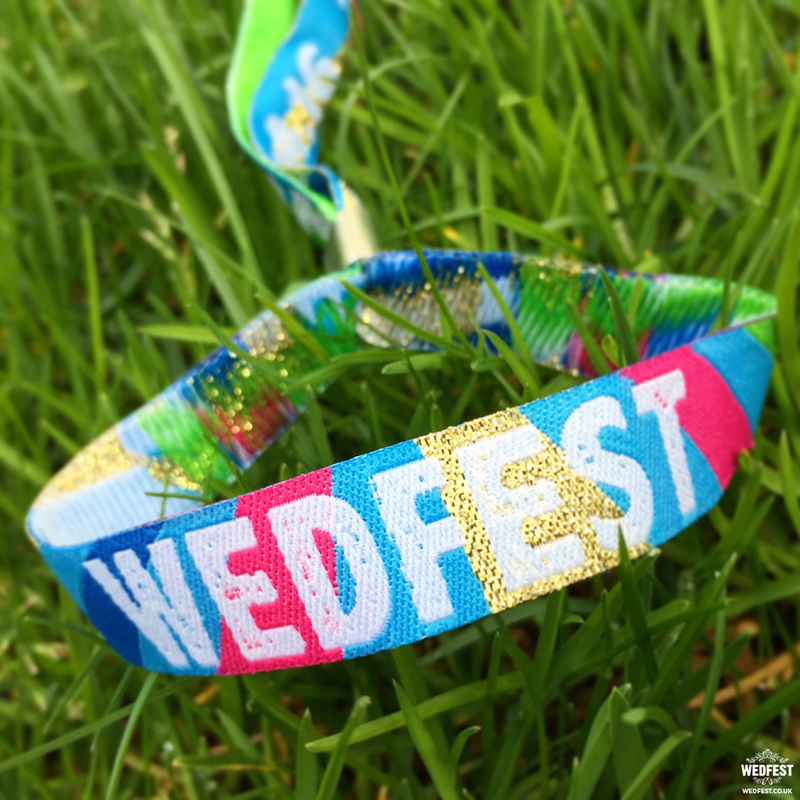 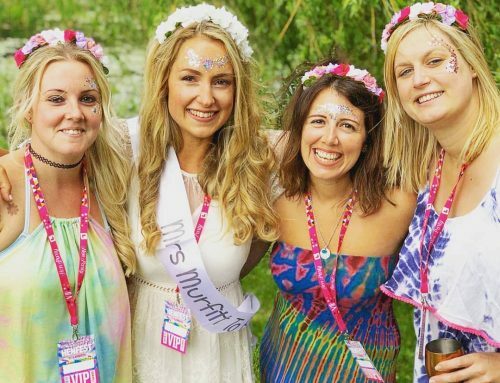 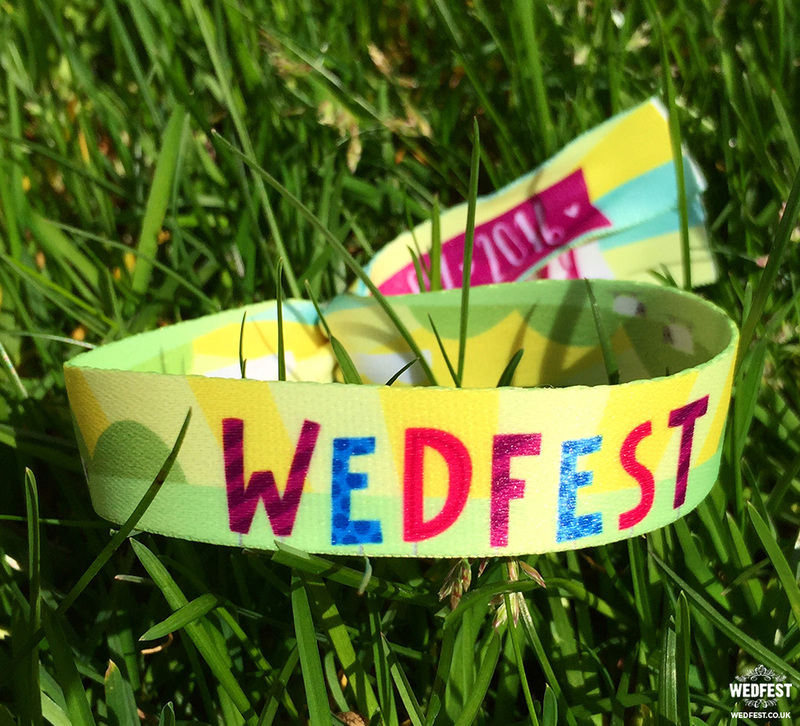 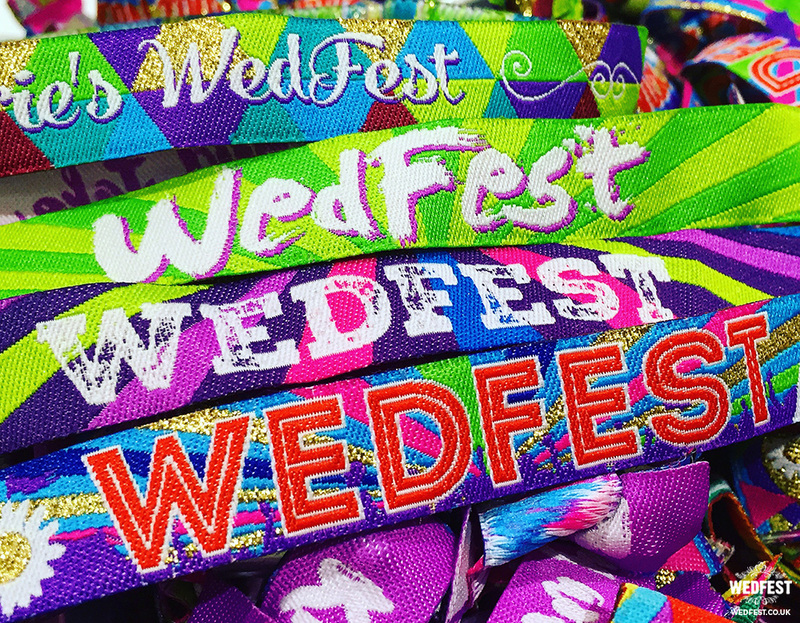 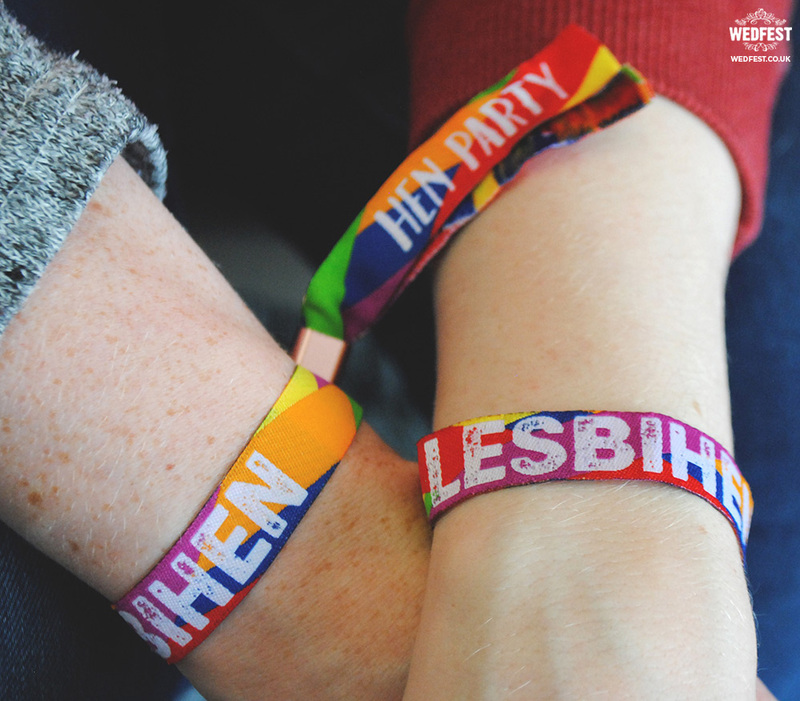 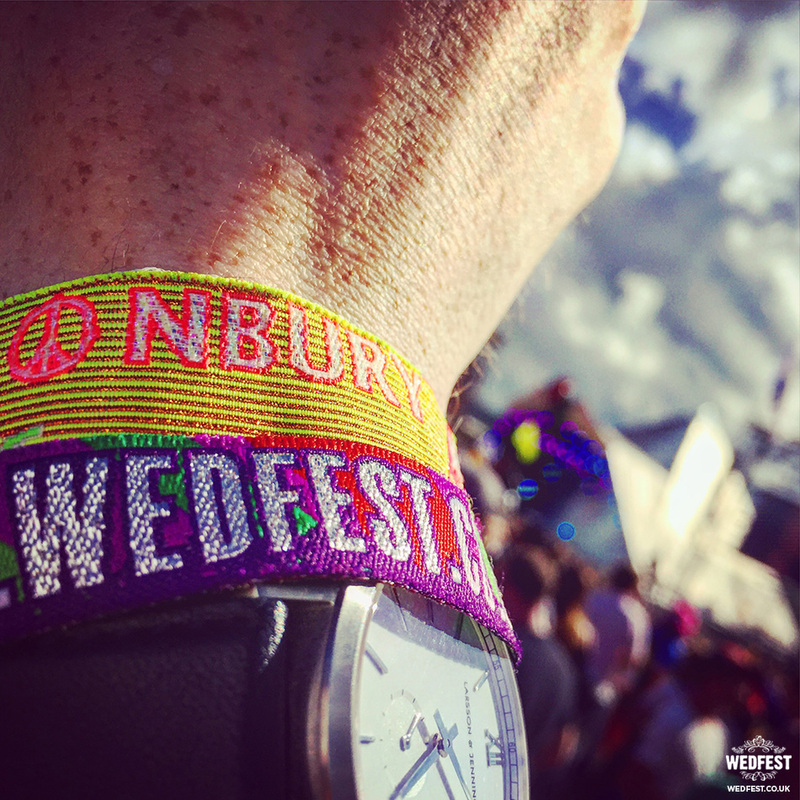 Wedfest provide a whole range of accessories for festival themed weddings, and the personalised wristbands are one of the most enjoyed. 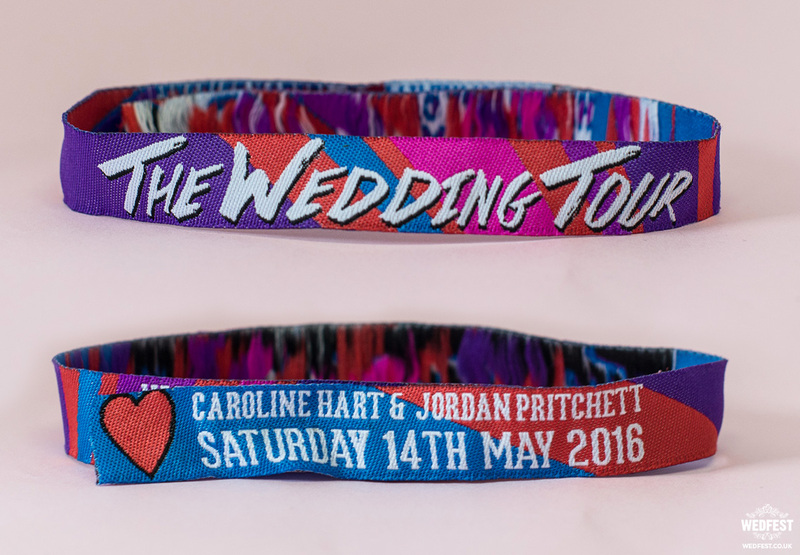 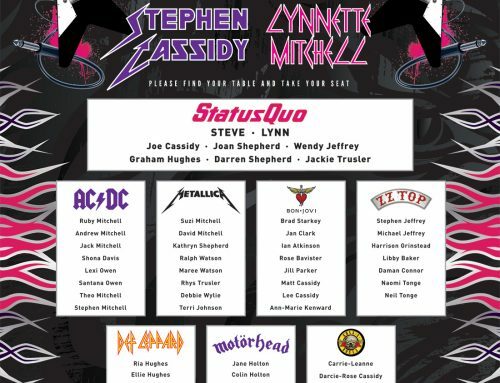 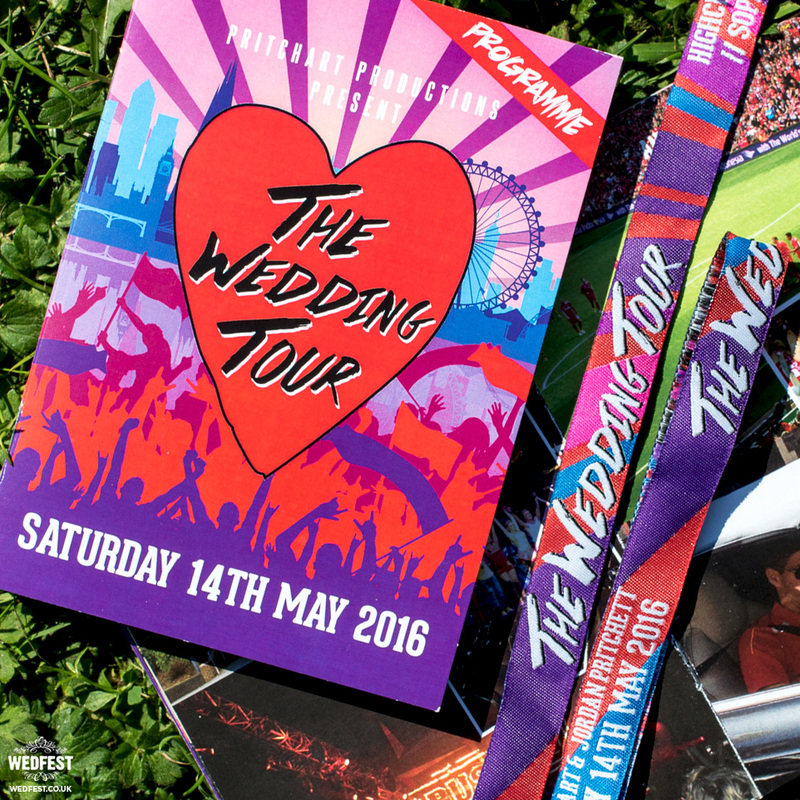 Each design can be customised to take into account the colours and theme of the big day, and each band can include any message in whatever colour or font you would like. 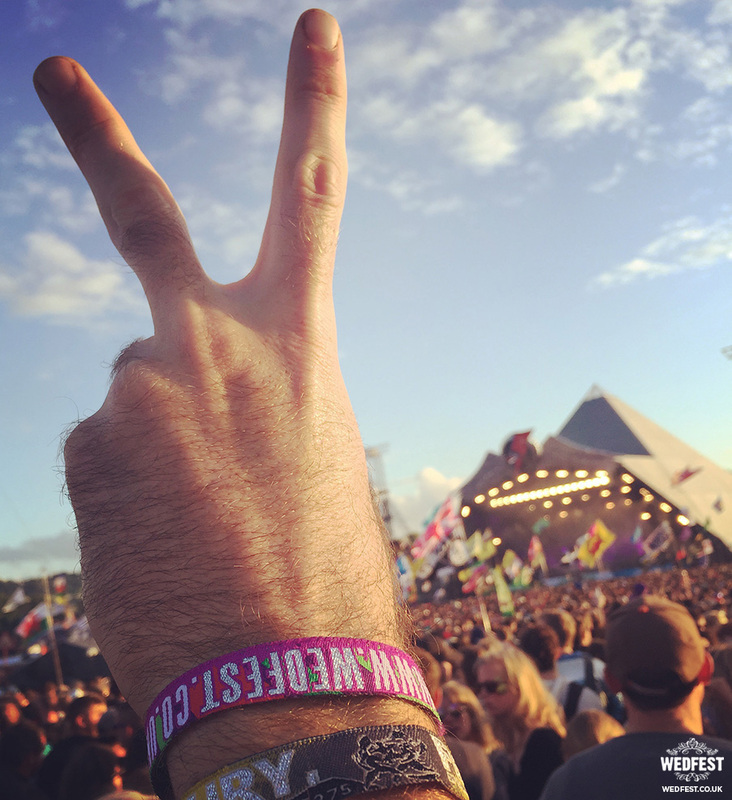 It’s a great opportunity to really express yourself. 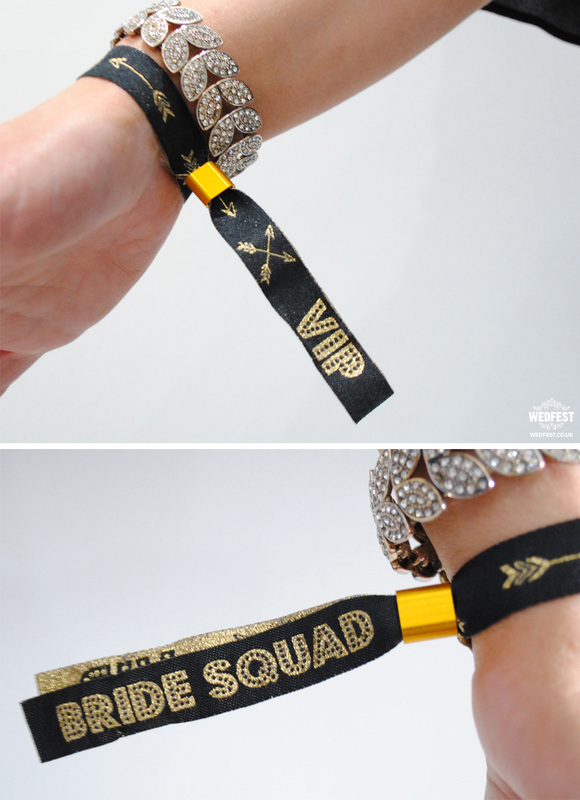 The beauty of the customisation options is that you have the opportunity to play around with ideas, and then bring these to life. 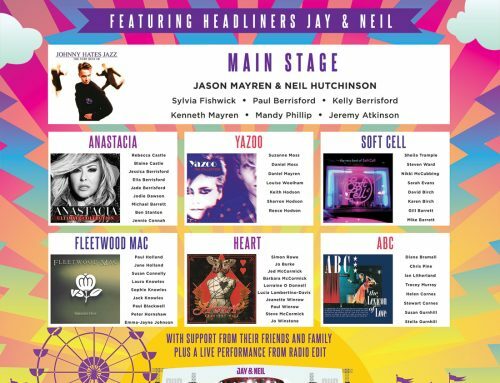 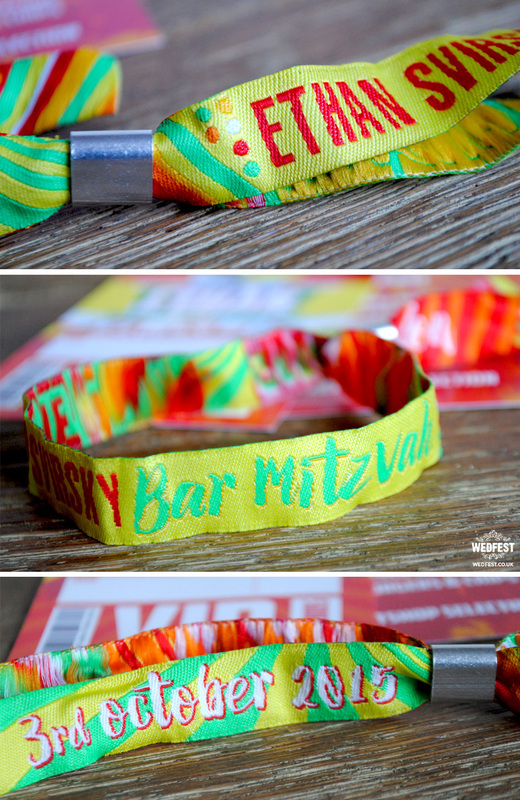 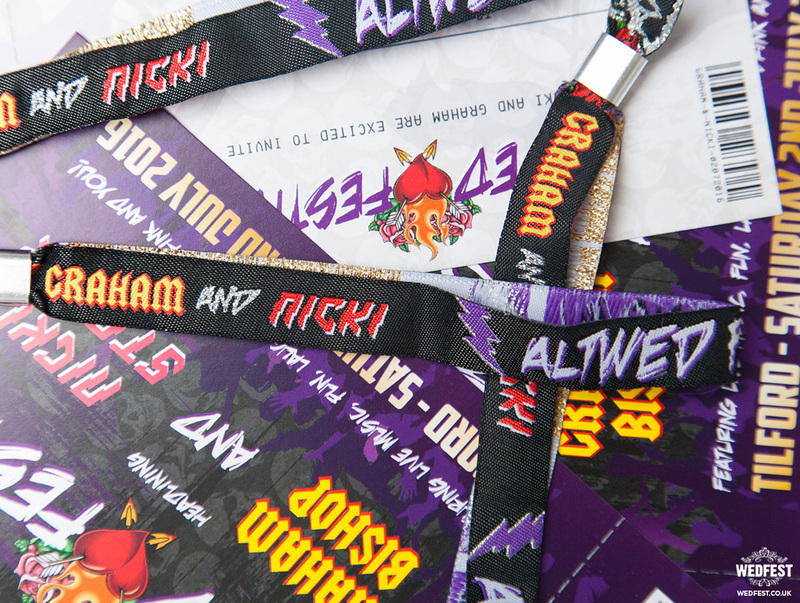 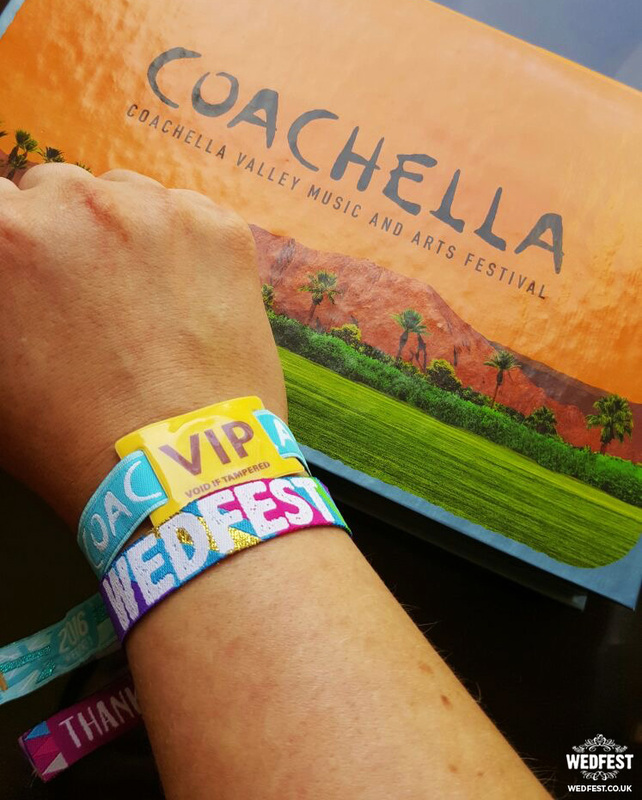 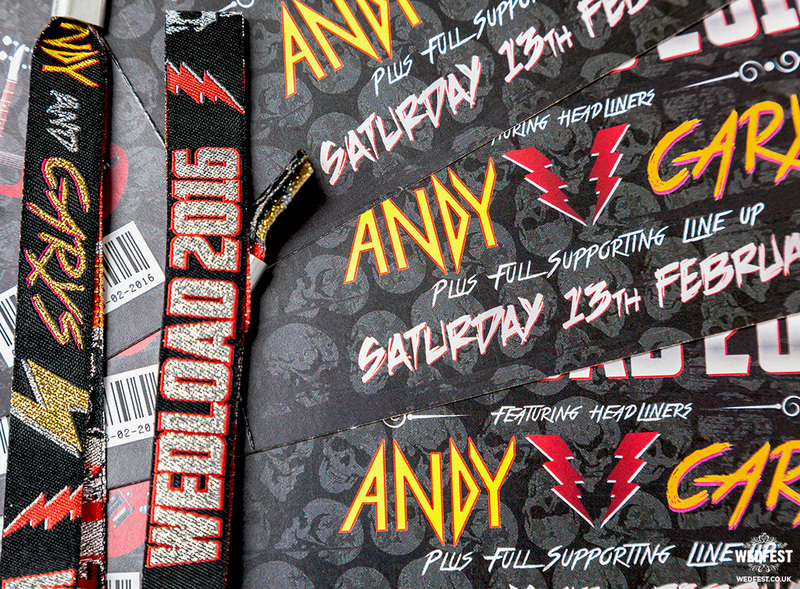 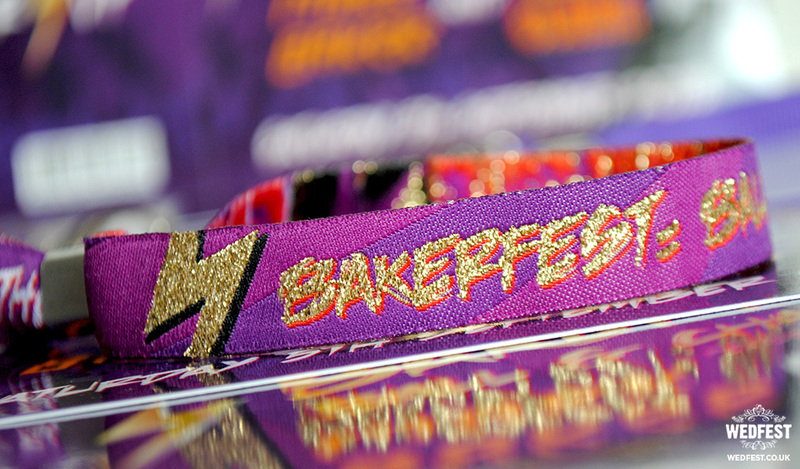 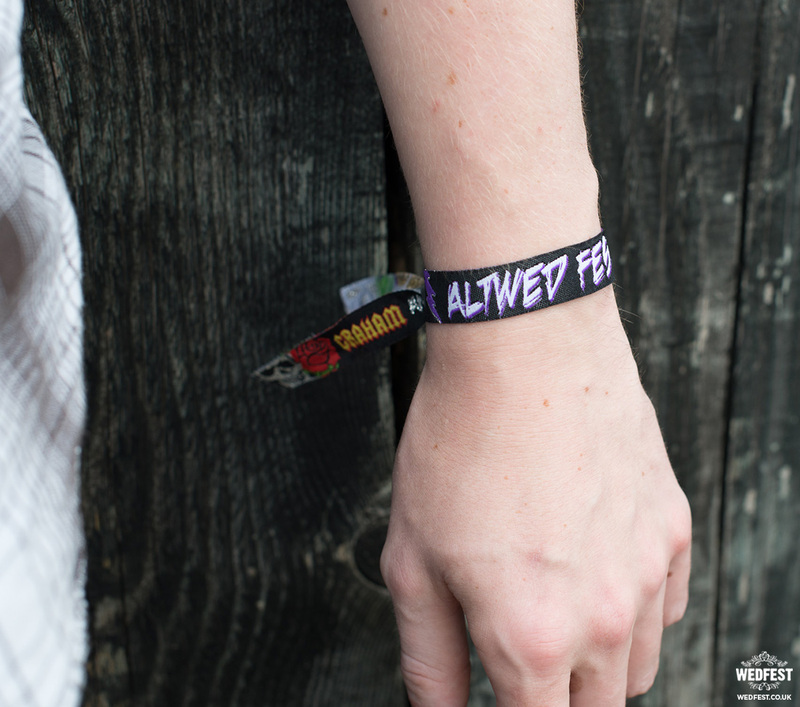 You could make everyone feel like a VIP for the day with a wristband that says ‘Access all areas’, or ‘Backstage pass’. 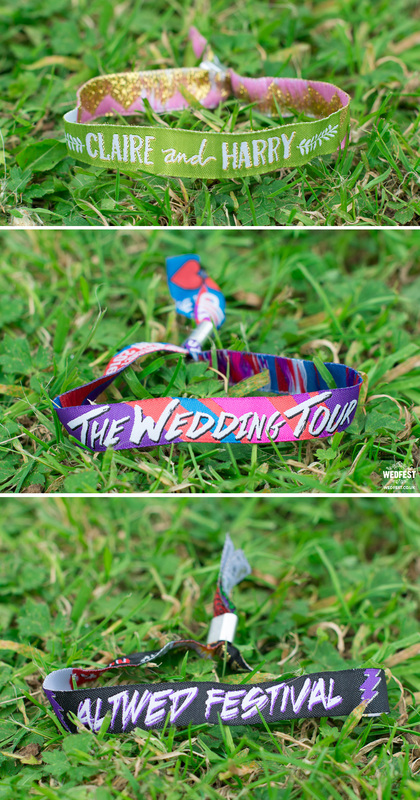 These bands have already featured in many festival weddings, and have proven to be a big hit. 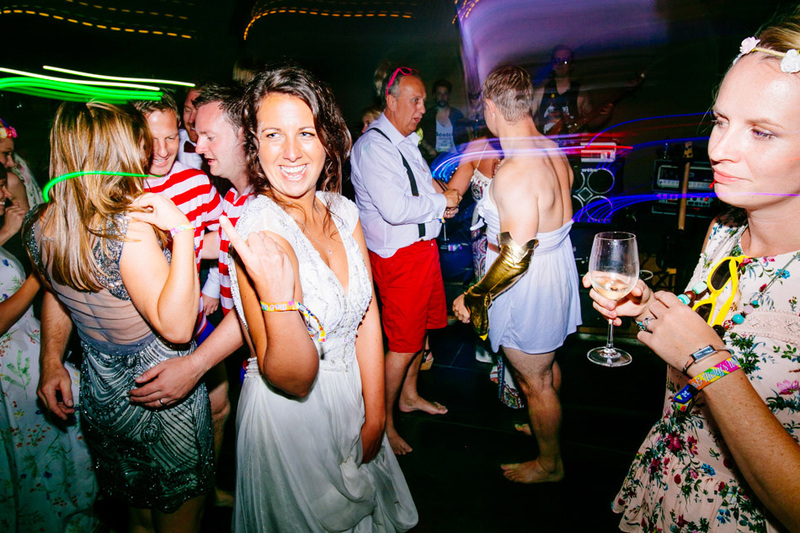 They act as a real talking point, and are a great ice-breaker and conversation starter, helping to bring people together. 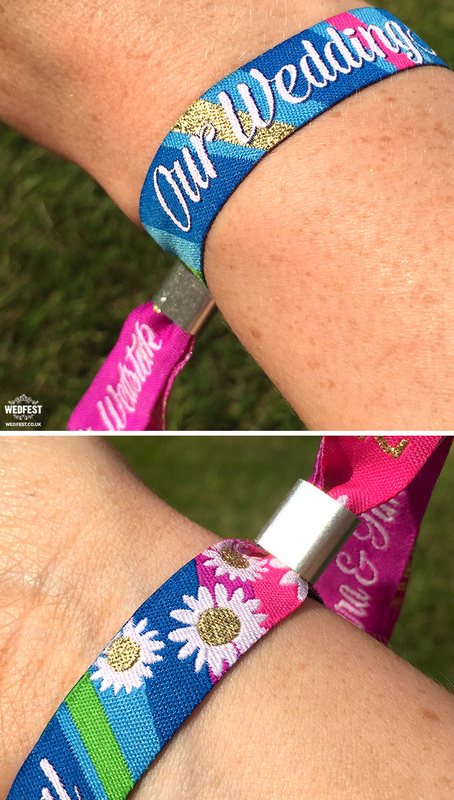 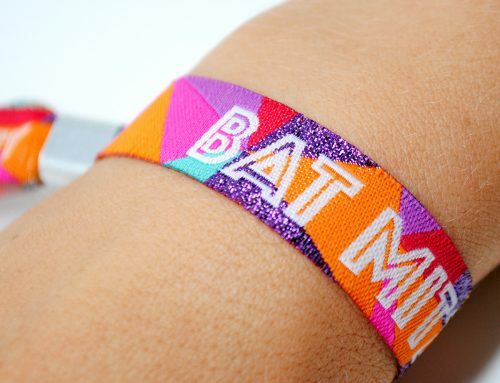 Creating your own customised wristbands can be great fun, and there’s loads of really cool, lively, and vibrant designs to get you started. 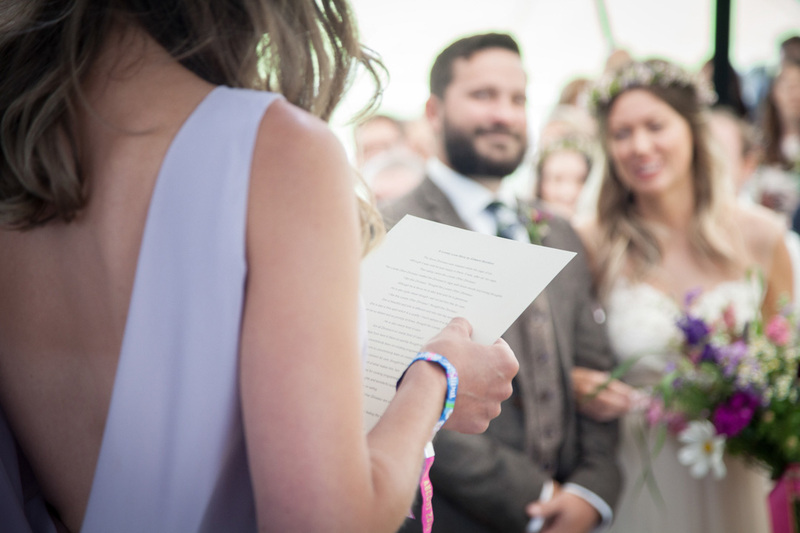 Whether you’re planning on wearing the bands during the day, or gifting them as wedding favours, they are attractive and instantly memorable. 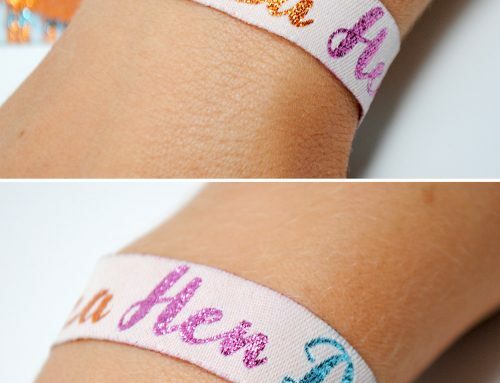 They can be coordinated to be a fun addition to an existing theme, or simply to be different. 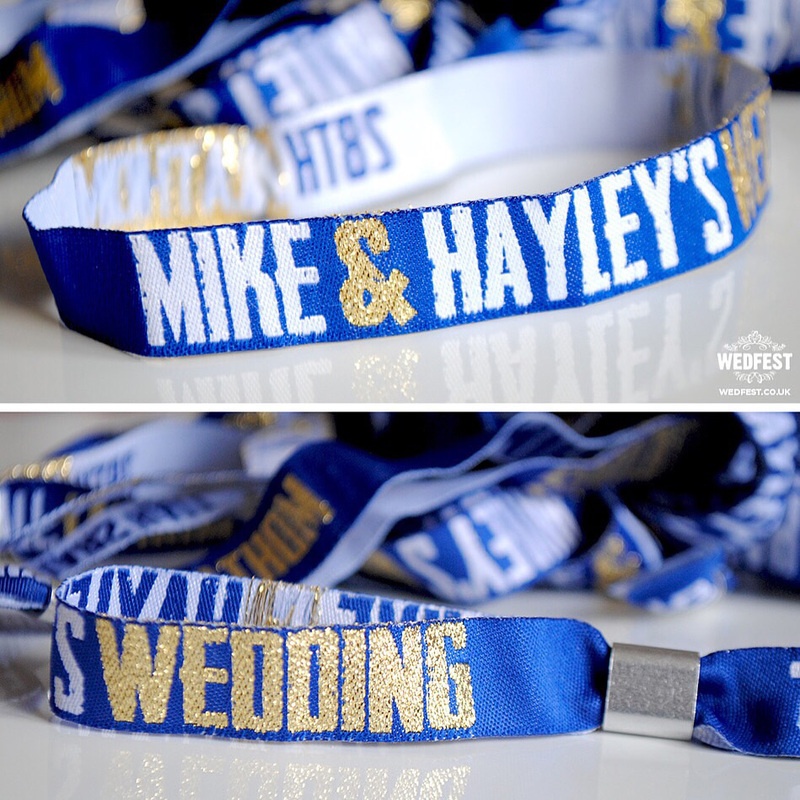 Of course we can make the wristbands and the rest of your wedding stationery all match. 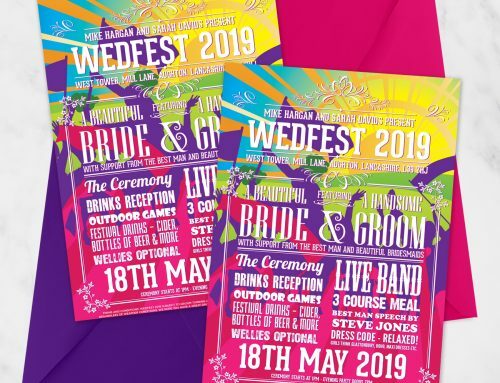 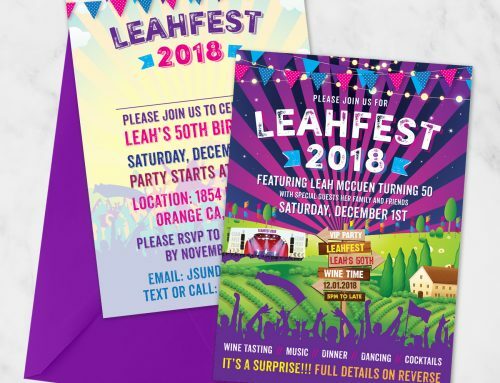 You can see below some examples of festival wedding invitations and their matching festival wedding wristbands we made for couples. 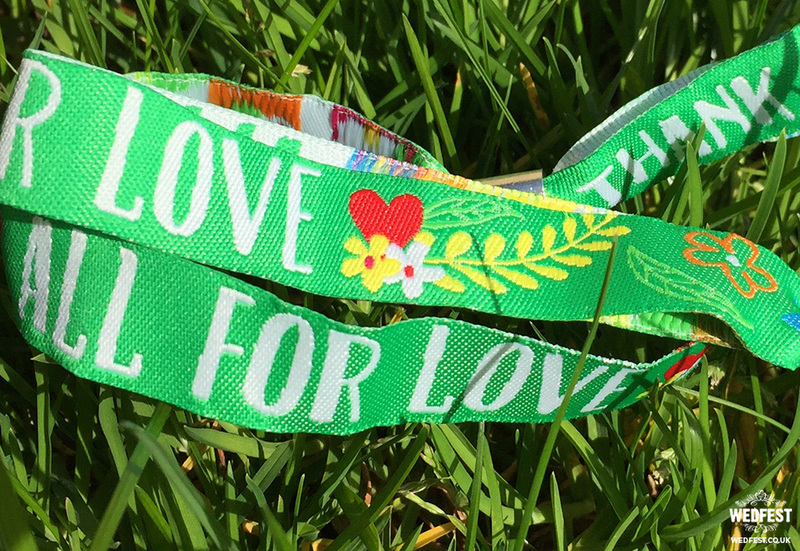 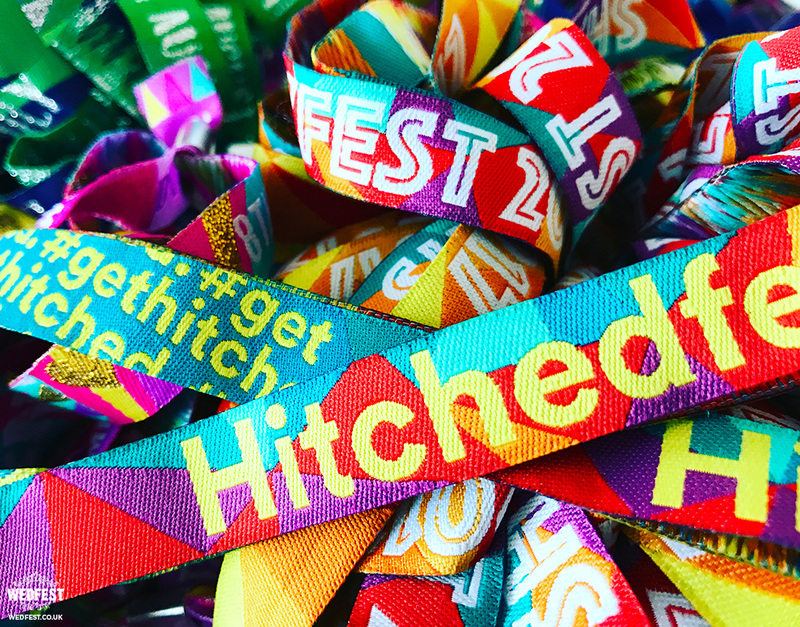 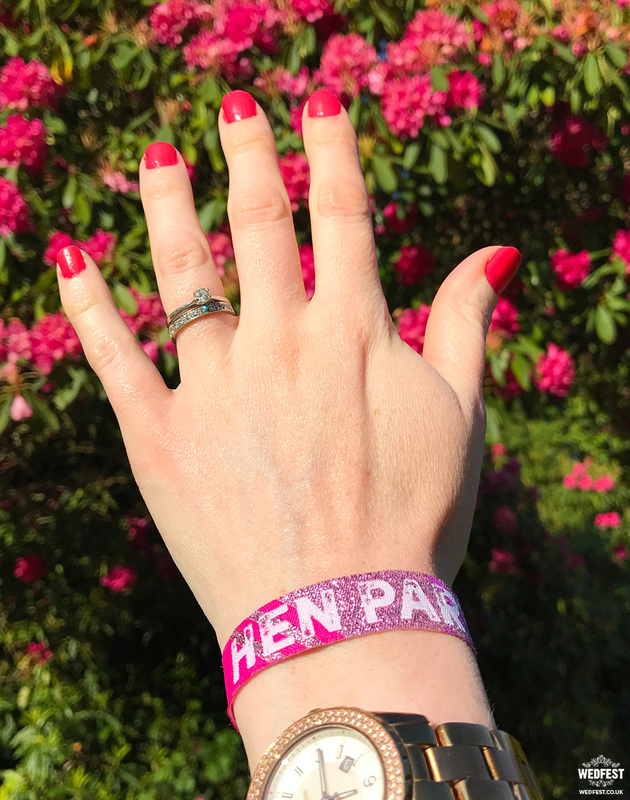 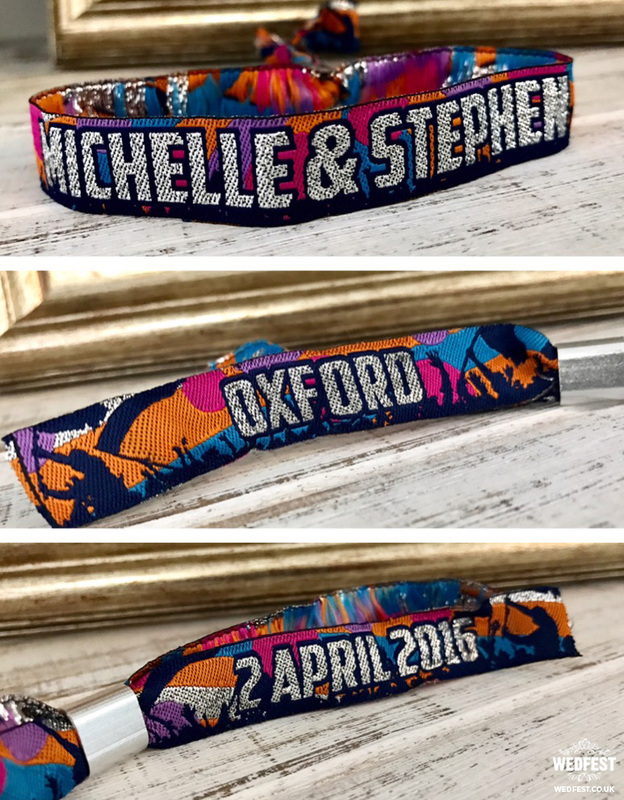 If you like the look of these personalised festival wedding wristbands and would like some for your own wedding please click here to get in touch.